The leader of Jindai High School's karate club, he is extremely skilled at karate. However, he is extremely nearsighted and can see clearly only when wearing his glasses, which leads to several comic incidents. His sense of pride cannot accept the fact that he was defeated by Sousuke, and is constantly challenging him to rematches - which Sousuke usually avoids - intentionally or not. He has a huge crush on Kaname, but in the short story Irrelevant Emotion accidentally indicates Sousuke when he is confessing his love for Kaname. Thus, it is thought throughout the short story that Sousuke and Tsubaki are homosexual. In the Fumoffu! anime, Mizuki falls in love with him in the last episode, but in Irrelevant Emotion she falls for him after he narrowly saves her from falling out a window. 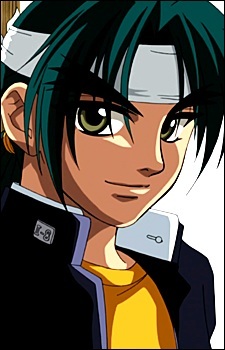 His character is similar to Ranma ½'s Ryoga for his determination to defeat his rival, and Mousse (Ranma ½) for being a nearsighted rival.